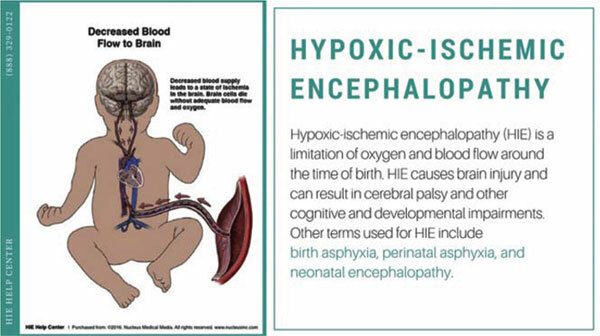 Background: Neonatal hypoxic ischemic encephalopathy (HIE) is a potentially devastating disorder associated with significant mortality and long-term morbidity. Objective: The aim of this study was to study the role of vitamin D as an adjuvant therapy for management of neonatal HIE. Patients and Methods: This study was carried out on 60 neonates with HIE grade II who were diagnosed according to modified Sarnat staging and were divided in to 2 groups: Group I: Included 30 neonates with Sarnat grade II HIE who received single daily oral dose of vitamin D3 (1000 IU) for 2 weeks in addition to daily subcutaneous (SC) human recombinant erythropoietin (2500 IU/kg) for 5 days and IM or IV magnesium sulphate 250 mg/kg within half an hour of birth, and subsequently 125 mg/kg at 24 and 48 hours of life. Group II: Included 30 neonates with HIE grade II who received erythropoietin and magnesium sulphate as group I but without vitamin D. Two blood samples were taken from all neonates included in both groups; the 1st at diagnosis and the 2nd after 2 weeks of therapy. This study included also 30 healthy neonates as a control group. All neonates included in this study were subjected to: complete clinical examination with assessment of Apgar score at 5 and 10 minutes, measurement of arterial blood gases and serum 25 (OH) vitamin D, calcium, phosphorus, S100-B and IL-17 levels. Results: Before therapy, there were no significant differences between group I and II in PH, PO2 and PCO2 (p= 0.294, 0.462, 0.758 respectively), but after 2 weeks of therapy, there were significantly higher PH levels in group I compared with group II (p <0.001) while there were no significant differences between group I and II regarding PO2 and PCO2. Before therapy, there were no significant differences in serum 25(OH) vitamin D levels between group I and II while there were significantly lower serum 25(OH) vitamin D levels in group I and II compared with controls (P1; comparison between group I and II = 0.742, P2; comparison between group I and controls = 0.001 and P3; comparison between group II and controls = 0. 001). There were no significant differences between group I and II and between group I and II and control as regard serum calcium (P1= 0.943, P2= 0.875 and P3= 0.764) and phosphorus (P1= 0.862, P2= 0.921, P3= 0.786). There were no significant differences between group I and II regarding serum IL-17 levels while there were significantly lower serum IL-17 levels in group I and II compared with controls (P1 = 0.457, P2 = 0.043 and P3 = 0.023). Before therapy, there were no significant differences in serum S100-B levels between group I and II while there were significantly higher serum S100-B levels in group I and II compared with control (P1 = 0.381, P2 = 0.001 and P3= 0.001) but after therapy, there were significantly higher S100-B levels in group II compared with group I and significantly higher S100-B levels in group I and II compared with control (P1= 0.001, P2= 0.043, P3 = 0.001). There were significant negative correlations in group I between serum S100-B and PH and between S100-B and serum vitamin D before and after therapy. Conclusion: Vitamin D was found to improve the cases of group I as demonstrated by the reduction of serum S100-B levels after vitamin D therapy. Recommendations: Extensive multicenter studies are required on a large number of patients with Sarnat grade II HIE with longer duration of follow up to give valid recommendations about the use of vitamin D as an adjuvant therapy in Sarnat grade II HIE. Hypoxic ischemic encephalopathy, S100-B, Vitamin D status, neonates, erythropoietin, seizures.